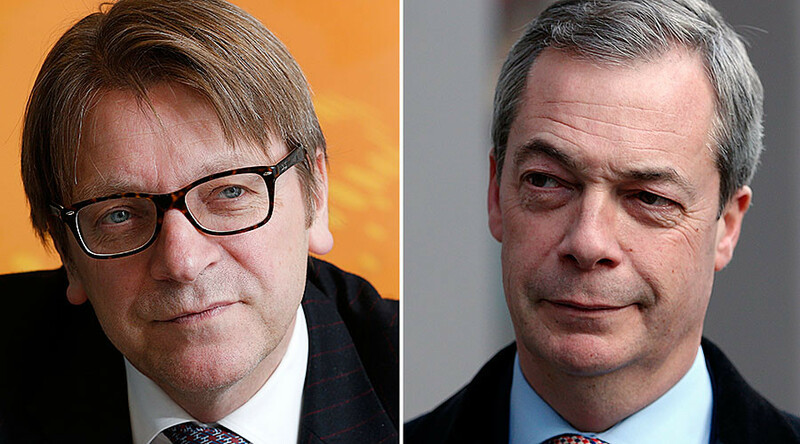 Former UK Independence Party (UKIP) leader Nigel Farage went head-to-head with the European Union’s chief Brexit negotiator and one-time Belgian premier Guy Verhofstadt on LBC radio on Tuesday. Verhofstadt, who once called Farage “the biggest waste of money in the EU,” was confronted by the British MEP on air after standing by his jibe. “The one thing I would say to Mr Verhofstadt is I have just helped to lead a campaign where my salary would be abolished completely,” Farage quipped. LBC presenter Matt Frei, however, was not pleased with the answer, asking the ex UKIP frontman if he wasn’t still a waste of EU taxpayers’ money as he probably spent more time doing the station’s new call-in show than in Brussels. Verhofstadt is then seen on LBC footage of the show shrugging awkwardly as Farage speaks. 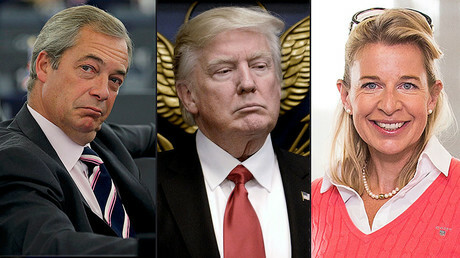 He is later seen telling Frei that Farage is wrong in egging on US President Donald Trump against the EU. Verhofstadt: we know what nationalism has done on the European continent - it has killed 20 million people. “A person can only walk on two legs and also the American president,” Verhofstadt said. “He needs an American leg on the one hand, and I think he needs a European leg on the other hand. Farage believed it was the European Union that was “causing extreme nationalism” to come back to the continent. It wasn’t just with EU politicians that Nigel Farage exchanged some heated words on Tuesday. Appearing on ITV show ‘Loose Women’, the politician had to face a barrage of criticism from presenter Saira Khan for supporting Trump’s travel ban on people from seven Muslim countries. Khan, who is a Muslim, told Farage she feared being attacked as a consequence of his type of politics. “I have a child who comes home from school and asks, ‘Why don’t people like Muslims in this country?’” she added. “I have never said anything about the religion of Islam,” Farage said, defending himself. “I have Muslim friends in this country who feel they’re being looked at in different way, because they’re scared - but they’re not getting that from us.